1. 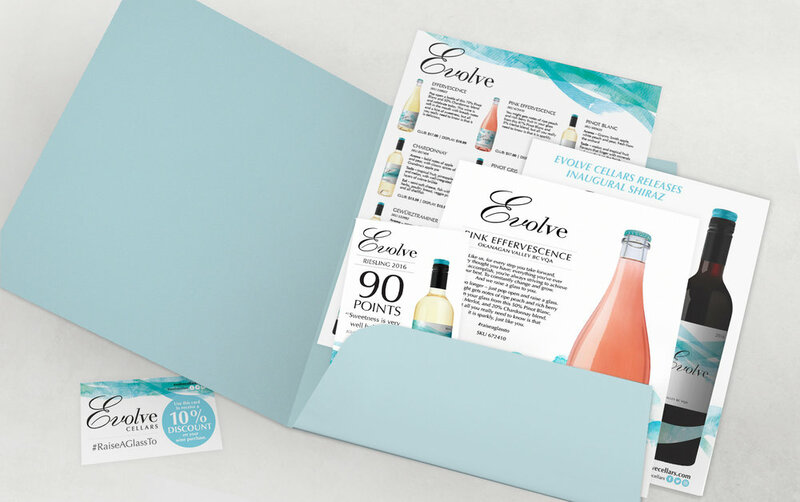 Strategy – The first step is to have a strategy and determine which pieces of information will be used where (such as what accolades or reviews you’ll want to use and if you want them on shelf talkers or neck tags). This will help inform which items you will need to make. 2. Gather – The next step is to gather the content you’ll need to create the tools: your brand story, wine technical info (pH, RS, TA, alc%), harvesting information, awards/reviews, and product photos (bottle shots). 3. Create – The last step is to create the materials. Portfolio sheets, tech sheets, and sell sheets, shelf talkers, business cards, and tasting cards.